Horse Week is a one week equestrian experience at Mountain Meadow Ranch. 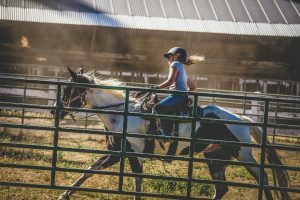 It takes place at the end of the summer and includes all the fun and adventure the ranch has to offer with an added emphasis on horsemanship and the Western riding discipline. With endless miles of riding trails and one-on-one lesson time, there is something for every kind of horse lover; whether they are an advanced rider or just learning the ropes! 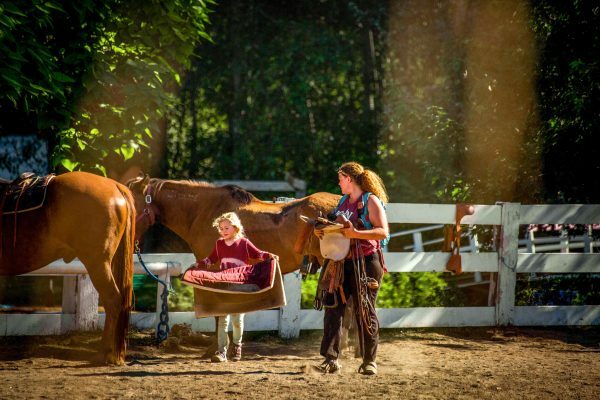 Your camper will have the opportunity to grow in their riding abilities, but also experience other areas of camp life here at Mountain Meadow Ranch. A selection of classic camp activities such as fishing, swimming, arts & crafts, small animal care, lagoon activities and campfires are a part of each day. Every day of the week is packed with a full riding experience, a scheduled non-riding activity and ends around the campfire singing silly songs, roasting s’mores and growing together as a camp family. We hope you’ll join us for this special week with the Mountain Meadow Ranch Wranglers & horses! Saturday, August 11 – Friday, August 17 1500.